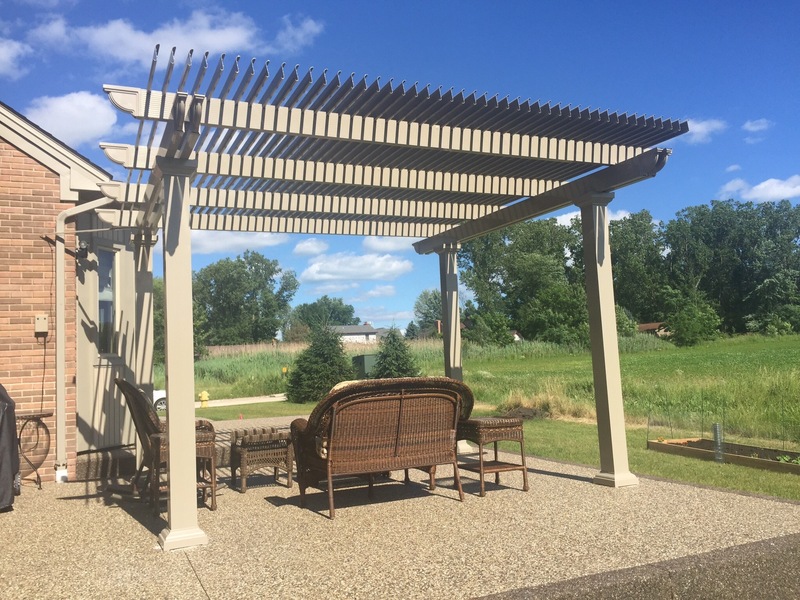 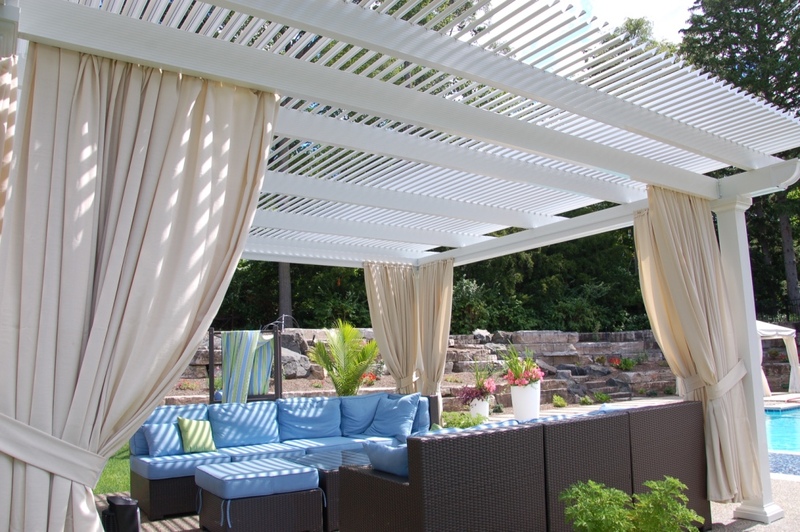 If you’re looking for an adjustable pergola system to add to your outdoor living space, then TEMO is the company to call. 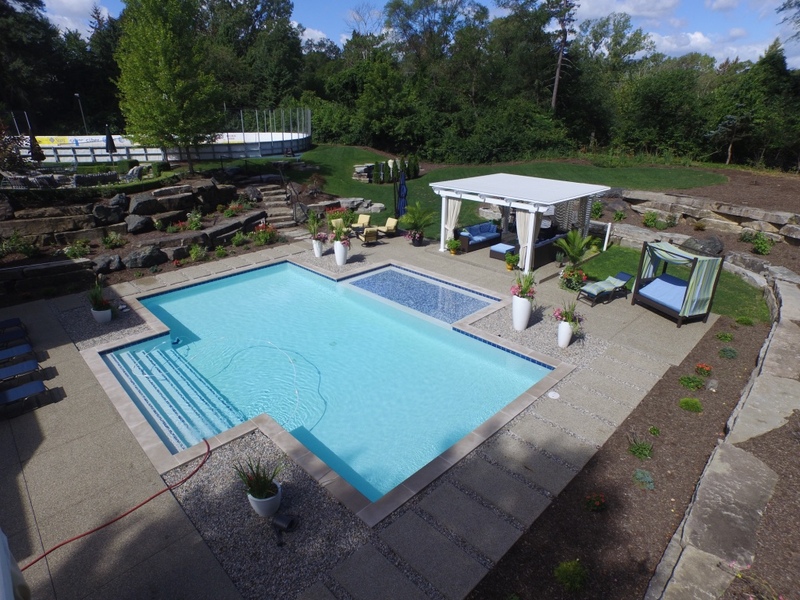 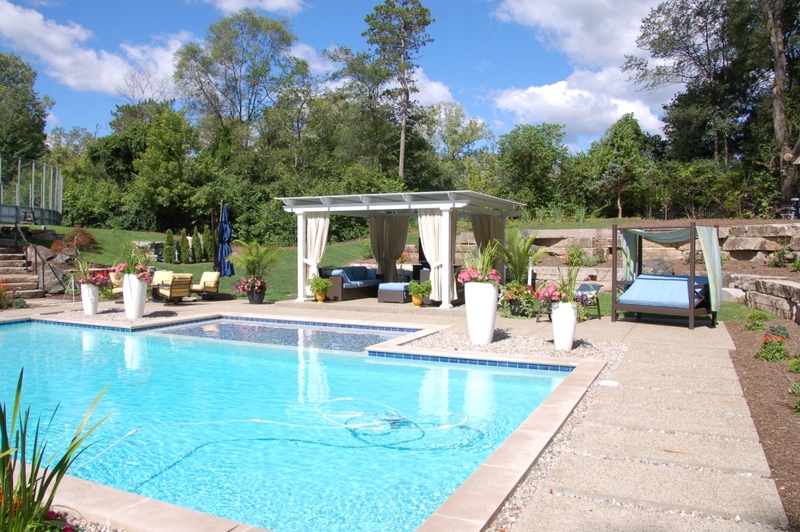 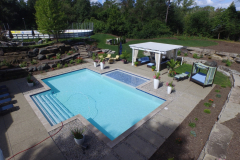 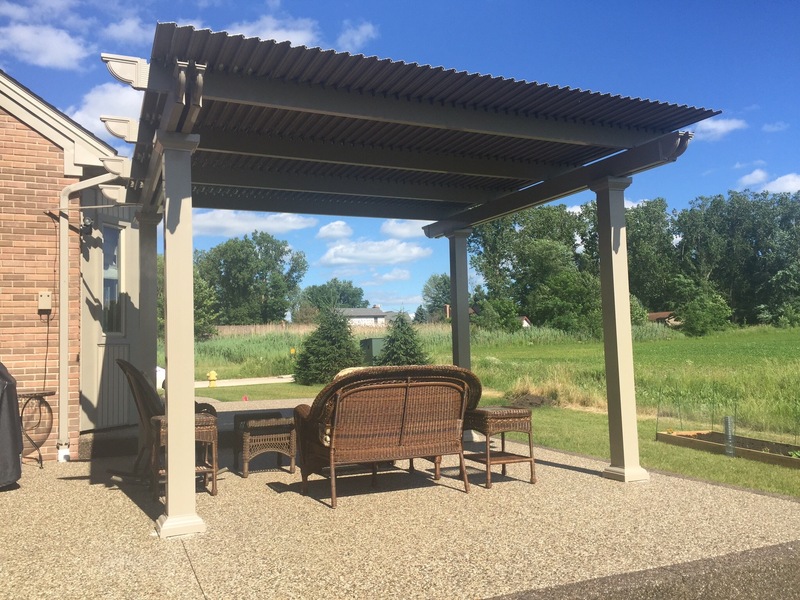 Since our company’s founding in 1970, we have proudly manufactured expertly crafted outdoor home additions for countless customers throughout the country, and we are excited to offer an innovative product for homeowners who want some control over how they enjoy their outdoor living spaces. 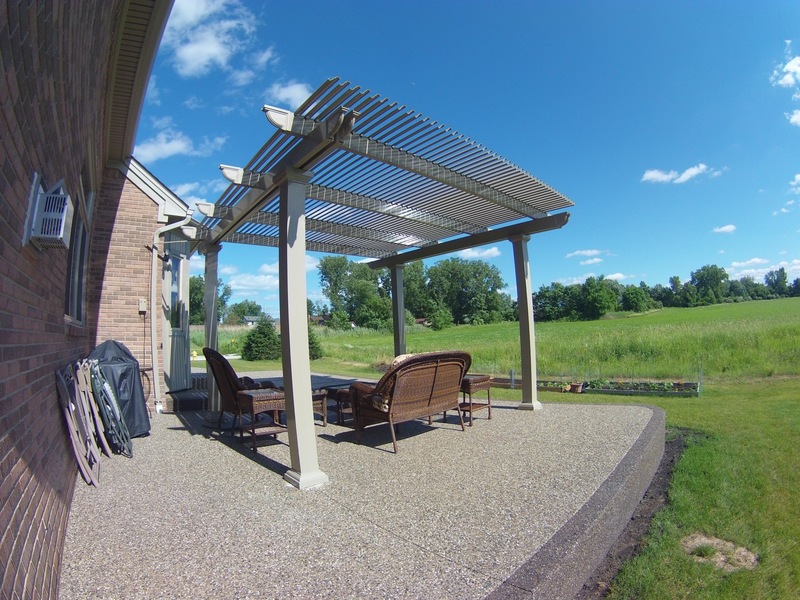 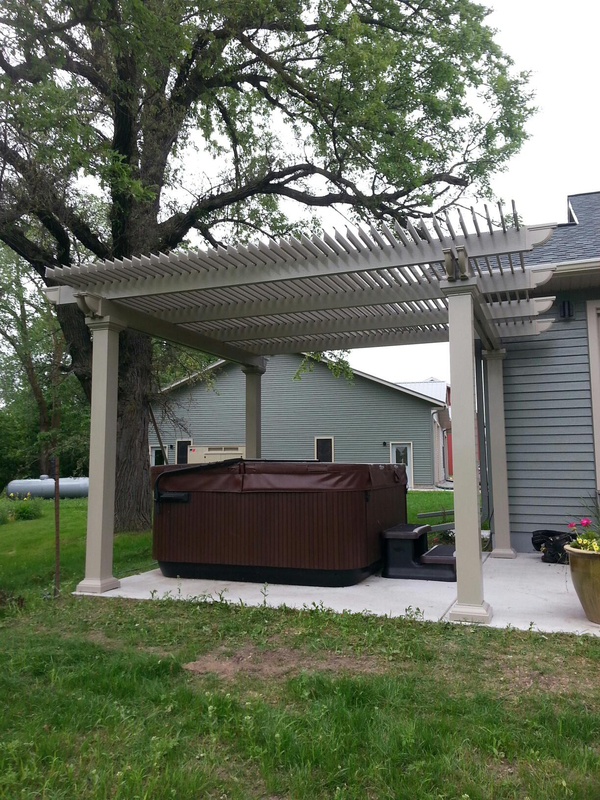 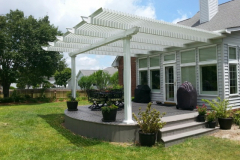 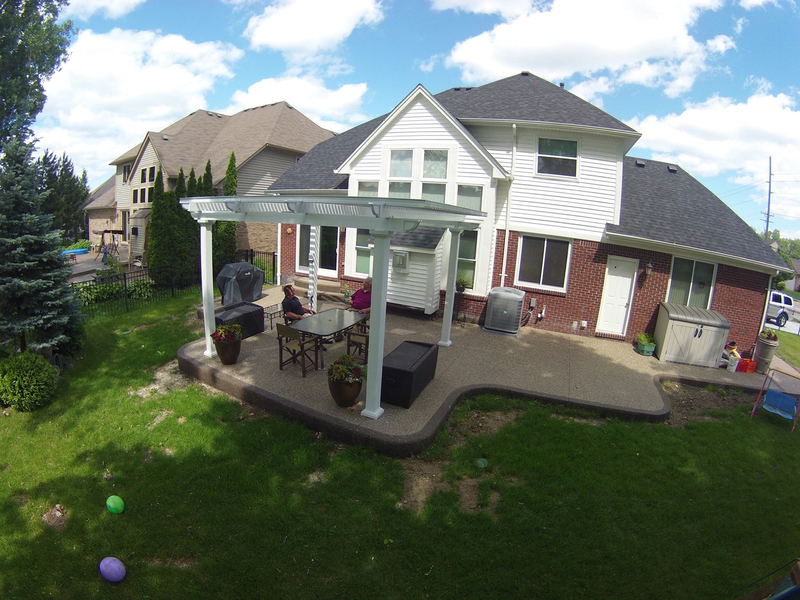 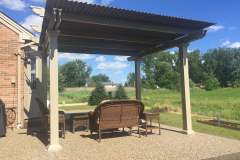 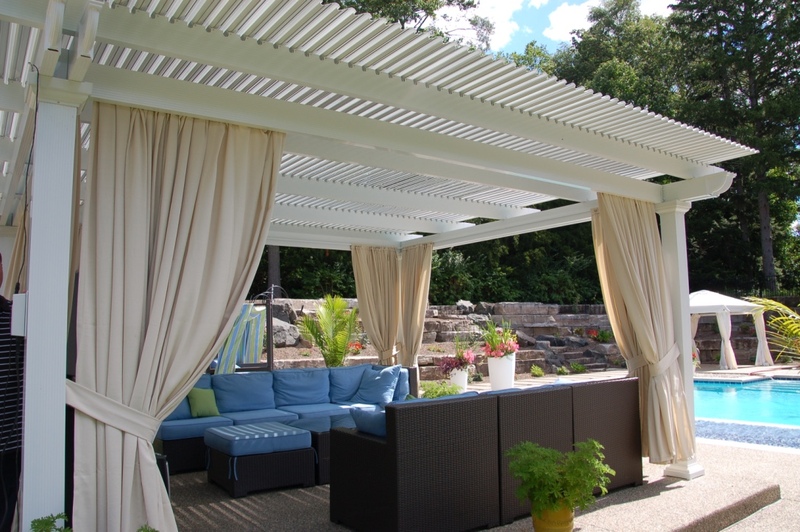 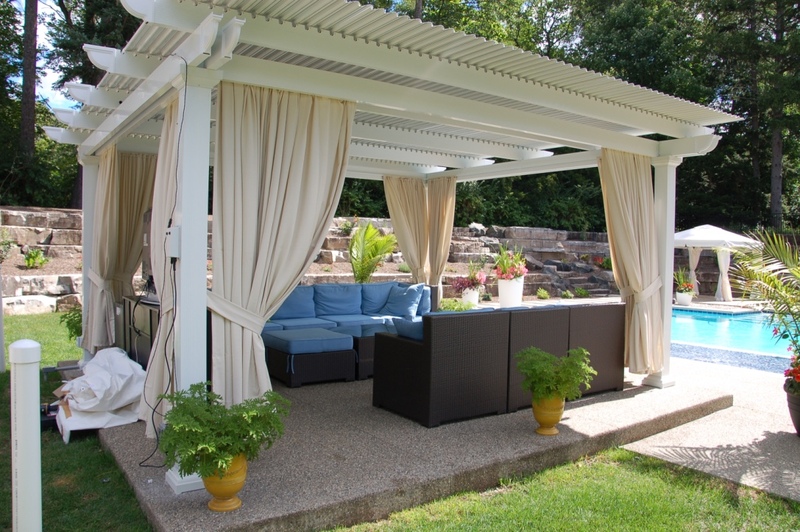 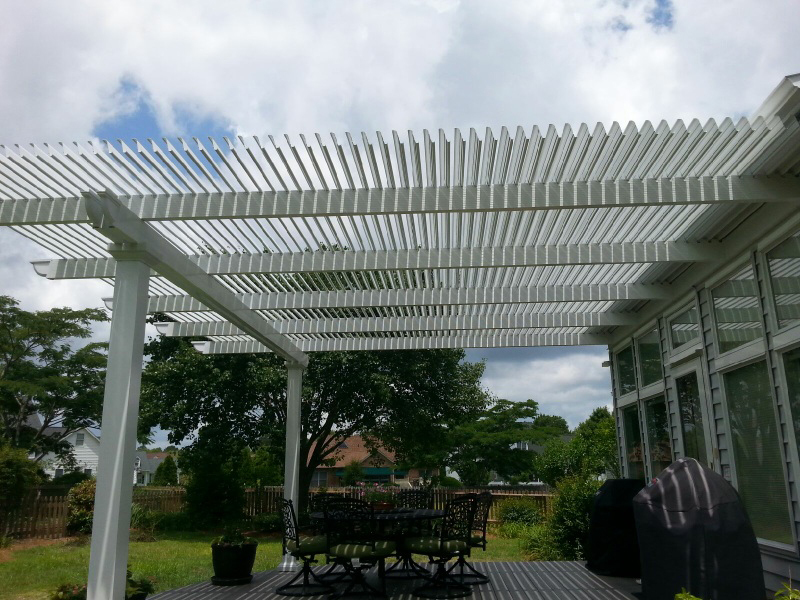 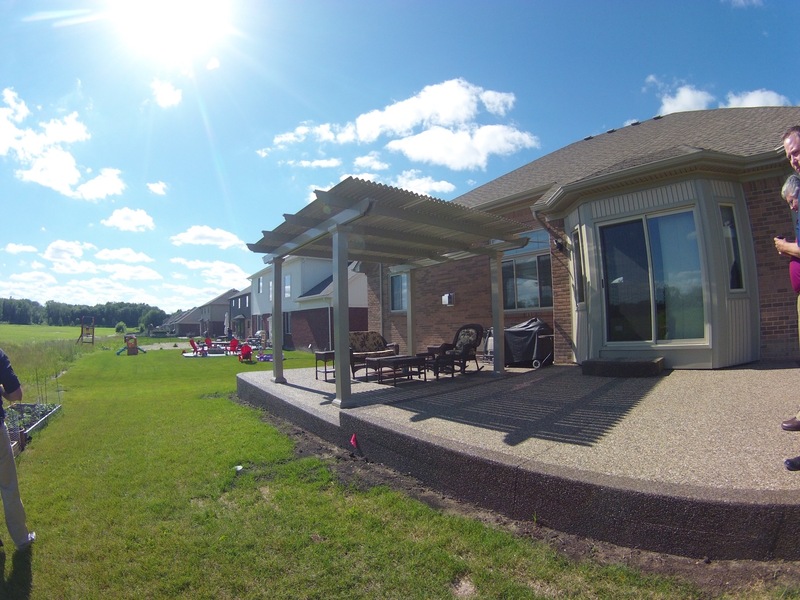 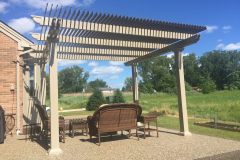 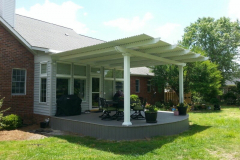 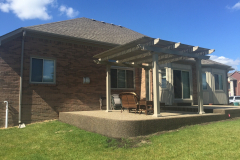 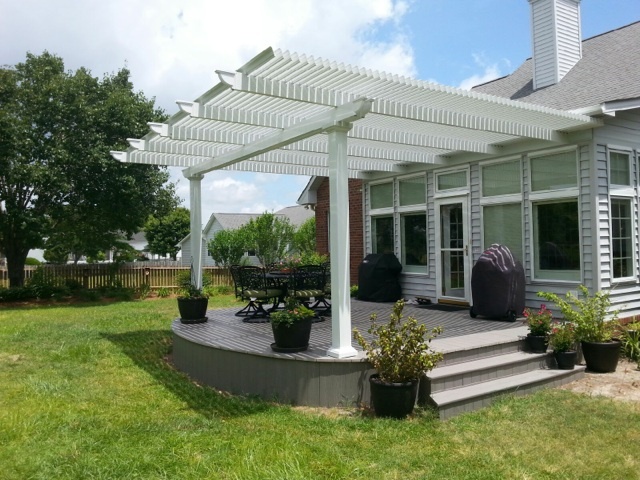 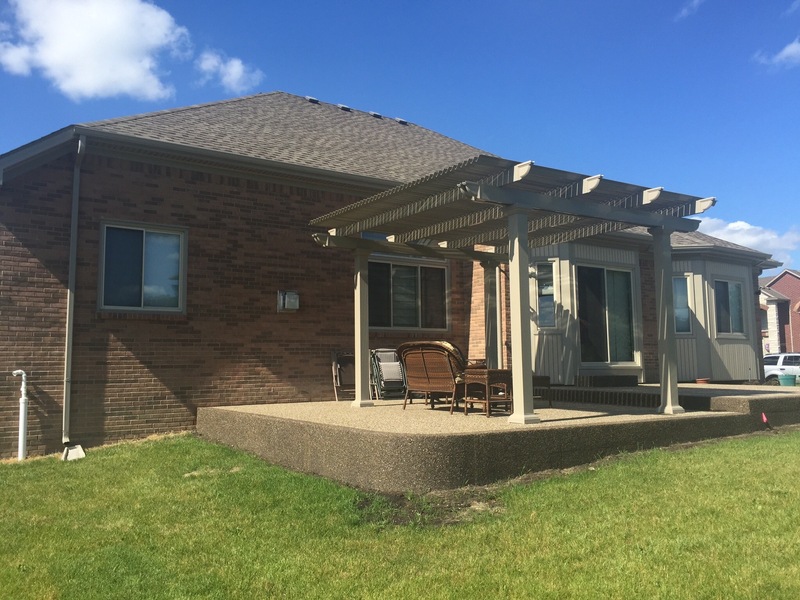 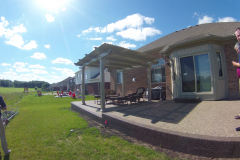 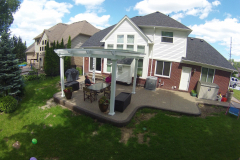 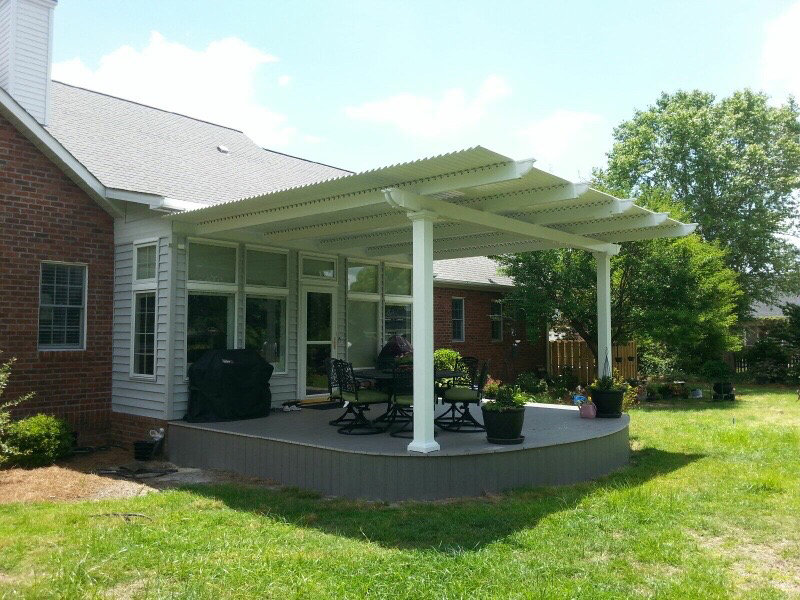 With our adjustable pergola, homeowners get the best of both a traditional pergola and a solid patio cover. 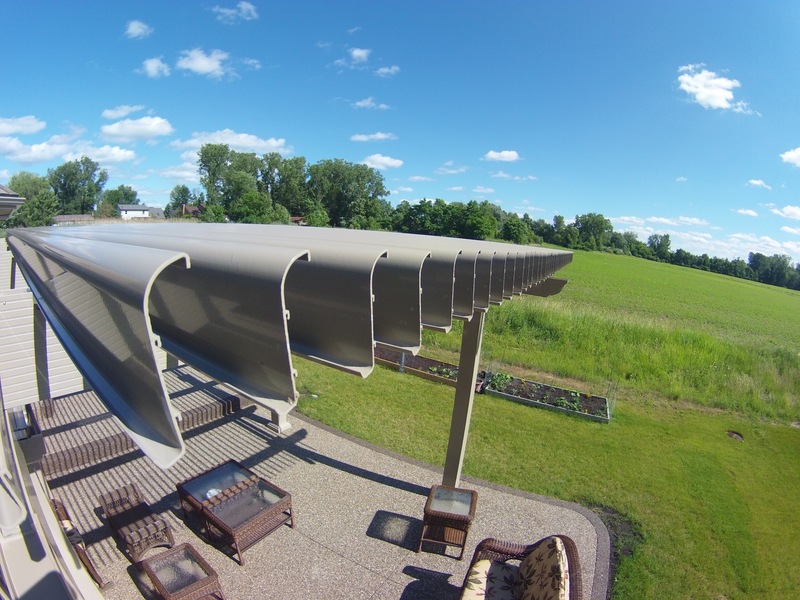 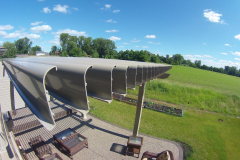 Using slow-motion actuators to control the roofing panels with a 500-lb push/pull force, this structure can be opened – to allow some sunlight in while leaving a lightly shaded space to dine, eat, and lounge – or closed – to provide complete coverage when the sun’s rays become too intense or it starts to rain. It is made from heavy-gauge extruded aluminum, so it’s extremely durable and structurally sound. 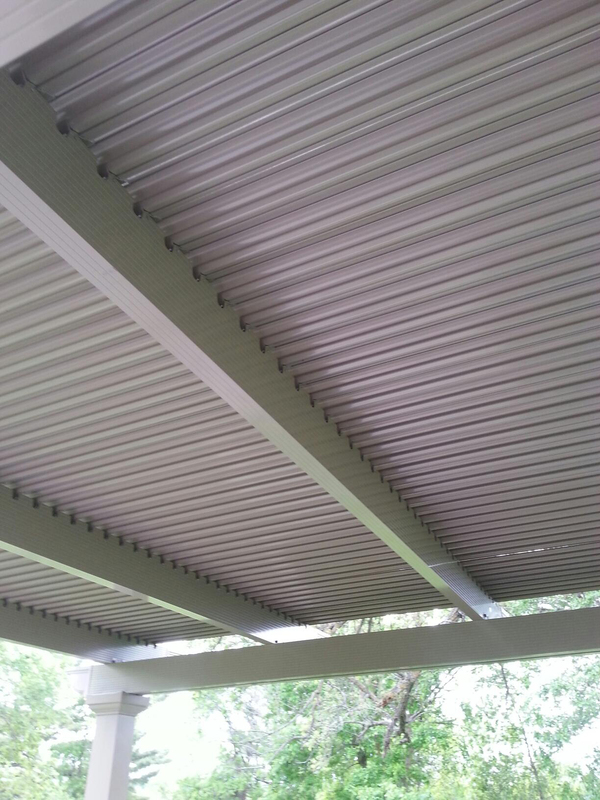 It is coated in a powerful electrostatic finish that is resistant to blistering, pitting, and peeling, and doesn’t have to be repainted or refinished. 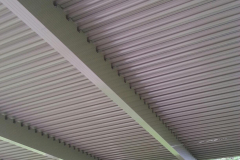 It is has electric raceways that conceal the power cable, so the structure looks neat and clean. 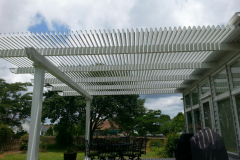 It comes with a host of exclusive features, like large-span roofing panels, TEMKOR-capped rafters and beams, and extruded louvers with a return lip. 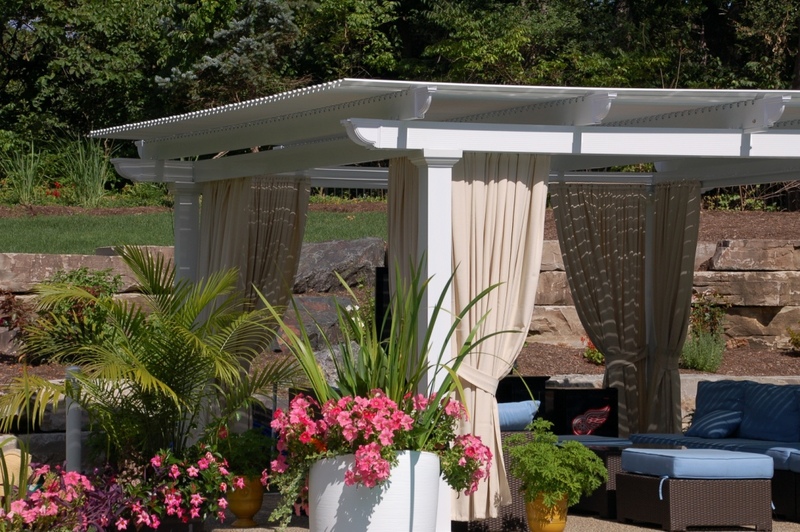 Its columns are available in three unique styles inspired by traditional Italian architecture – Roma, Florentine, and Venetian. 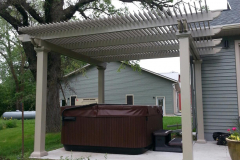 To learn more about our adjustable pergola system or to have one installed in your backyard, contact TEMO today. 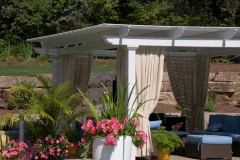 We’ll put you in touch with a TEMO-certified authorized dealer near you who will be happy to help.